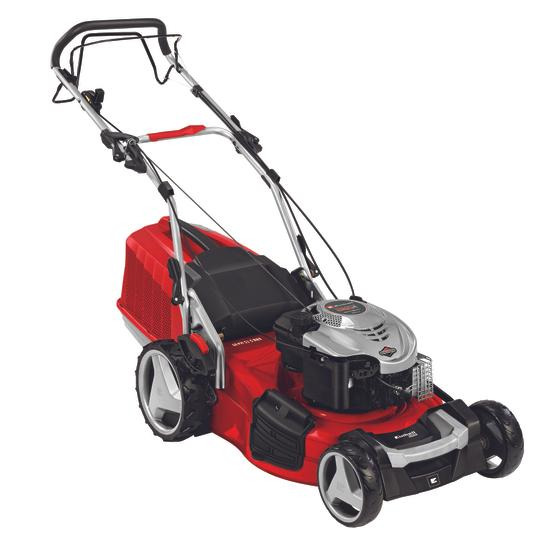 The GE-PM 51 S B&S petrol lawn mower is a high-quality and very efficient helper which with outstanding power and the highest user-friendliness makes it ideal for mowing extensive lawns. 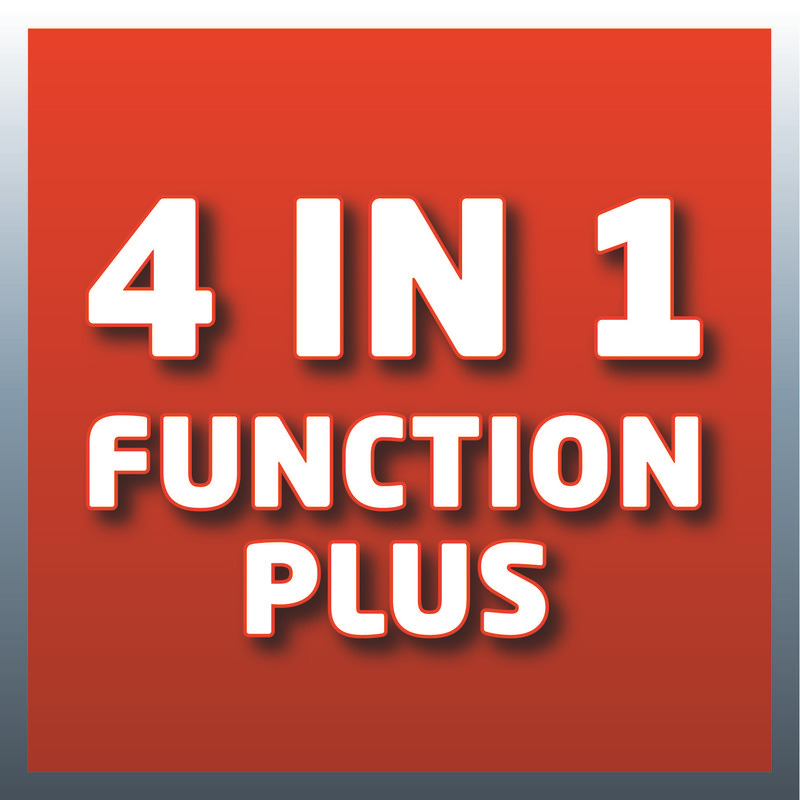 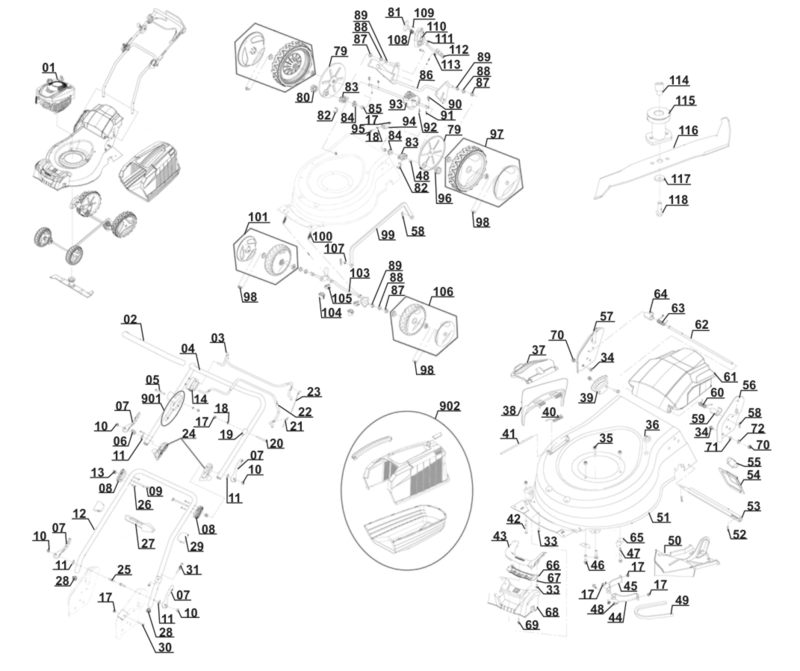 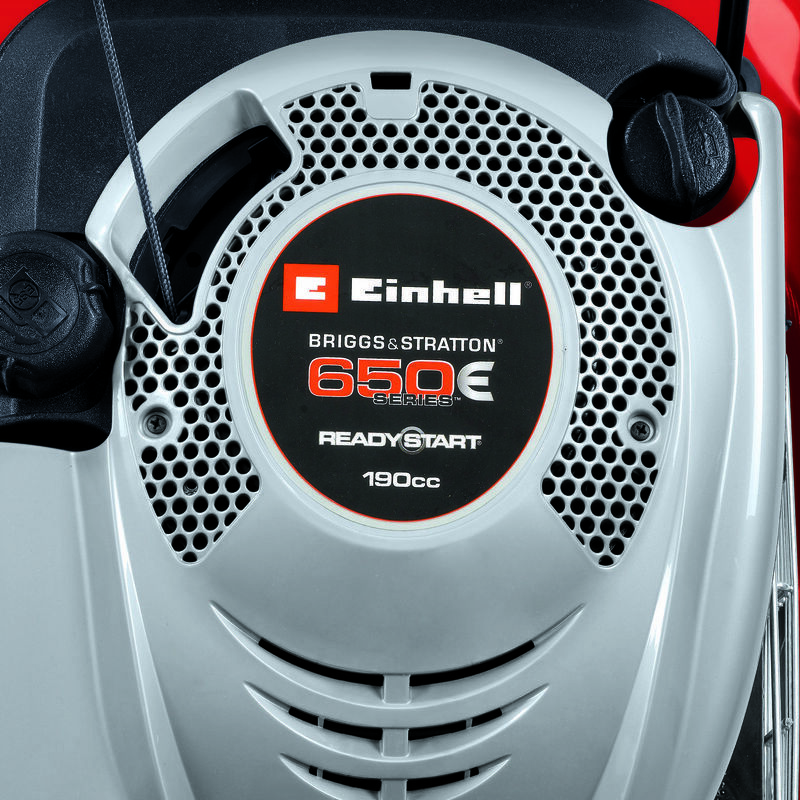 The powerful one-cylinder four-stroke engine from Briggs & Stratton generates ample torque. 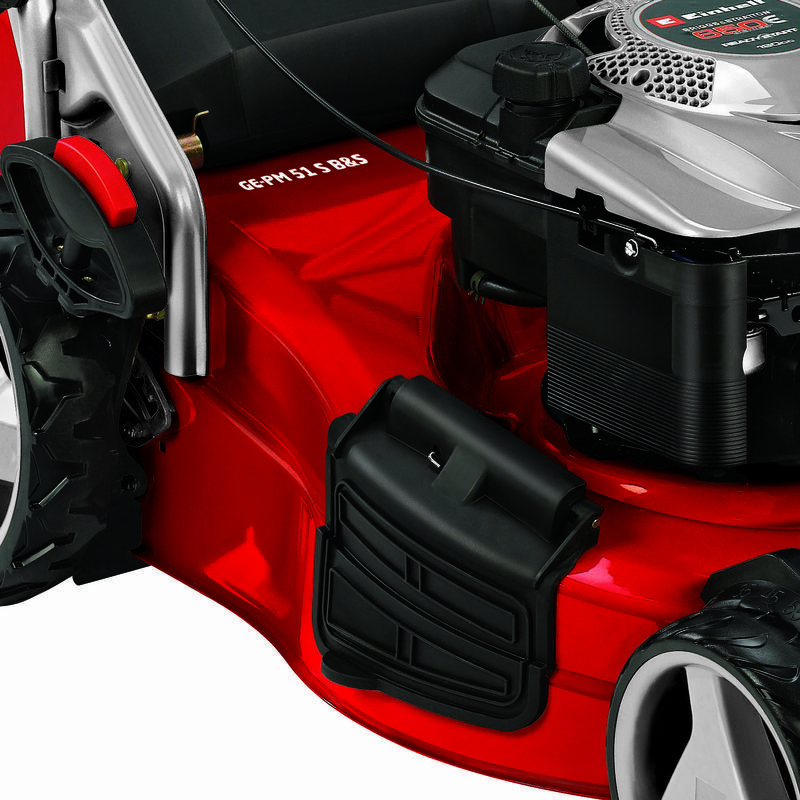 A disengageable rear-wheel drive ensures continuous progress and makes it easier to mow large areas. 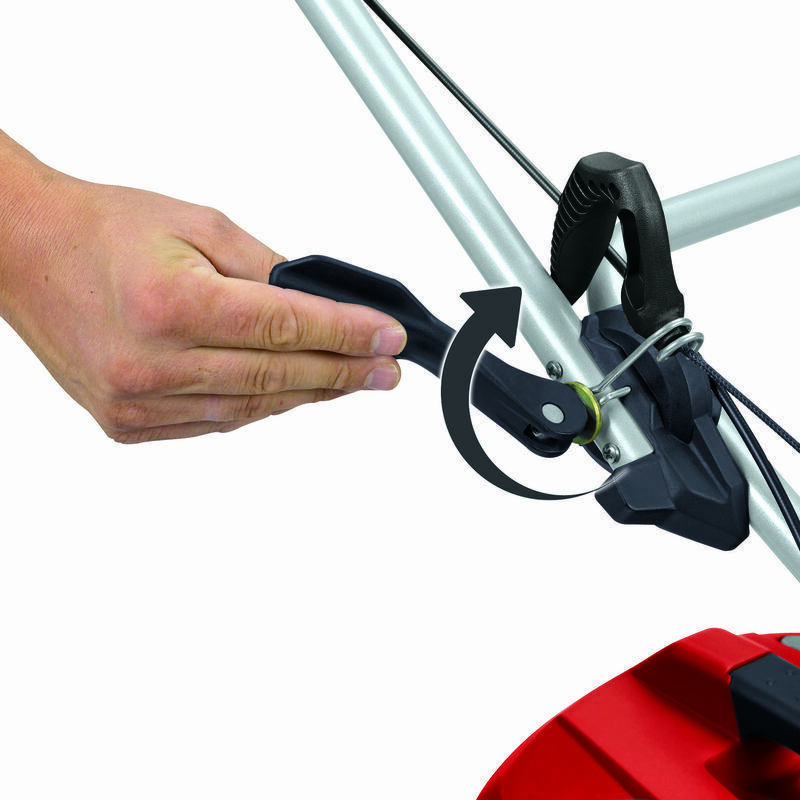 The starter cable of the GE-PM 51 S B&S is easy to reach on the long handle. 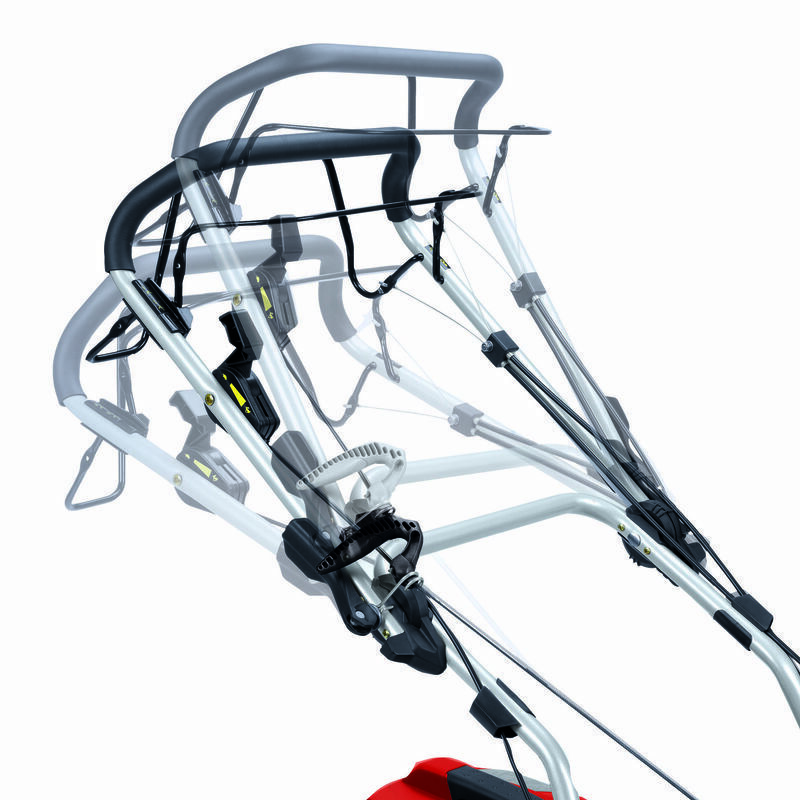 The folding, long handle, featuring a soft grip and quick fasteners, is ergonomic and height-adjustable to three levels for good adaptation to the user's size while also allowing the mower to be stored away in minimum space. 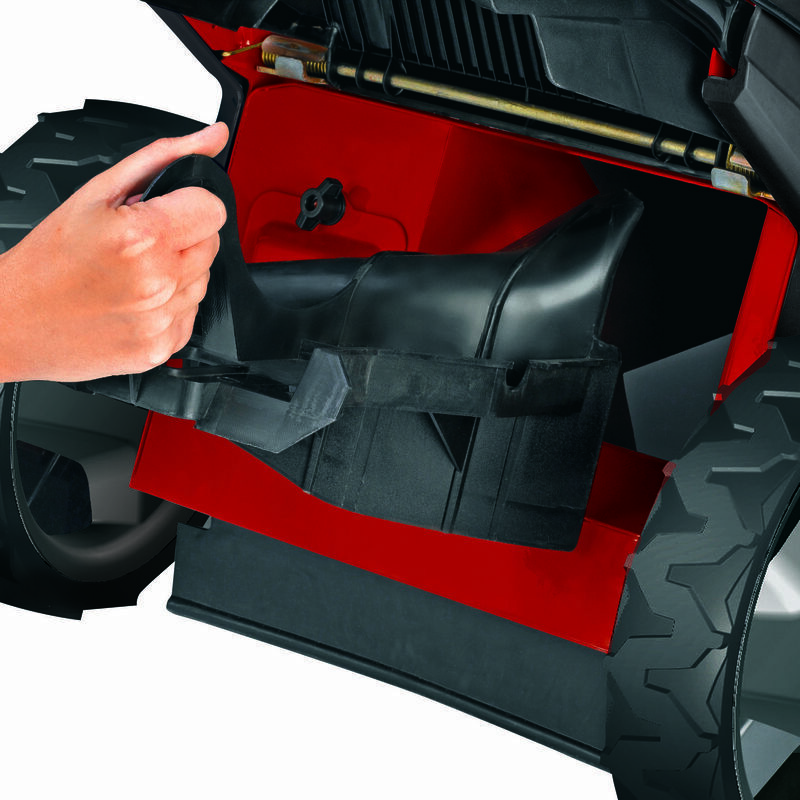 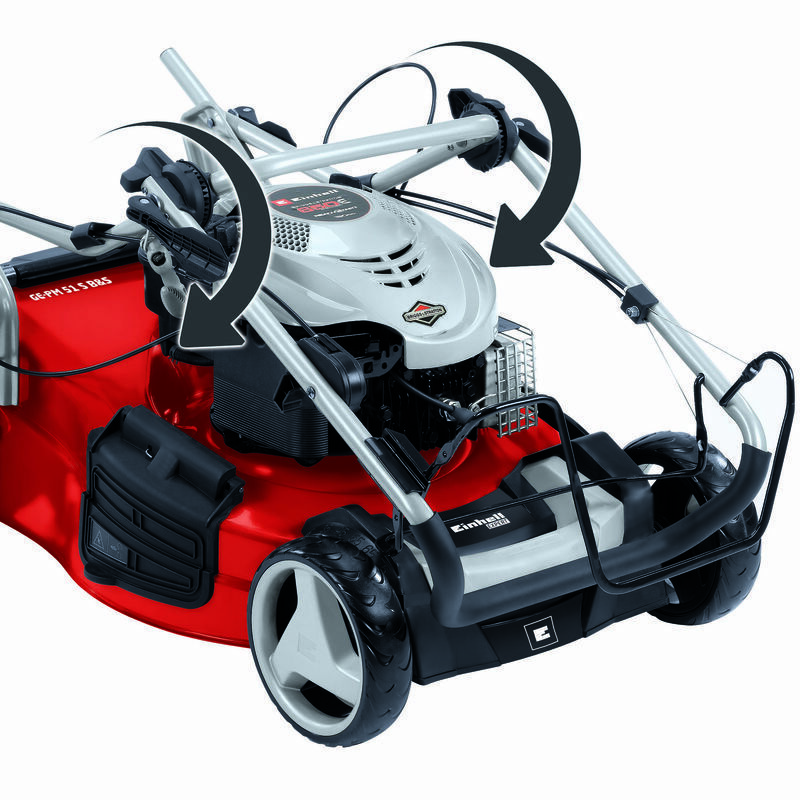 Thanks to the innovative handle concept and the cleaning tool, the mower is also easy to clean even in the vertical position. 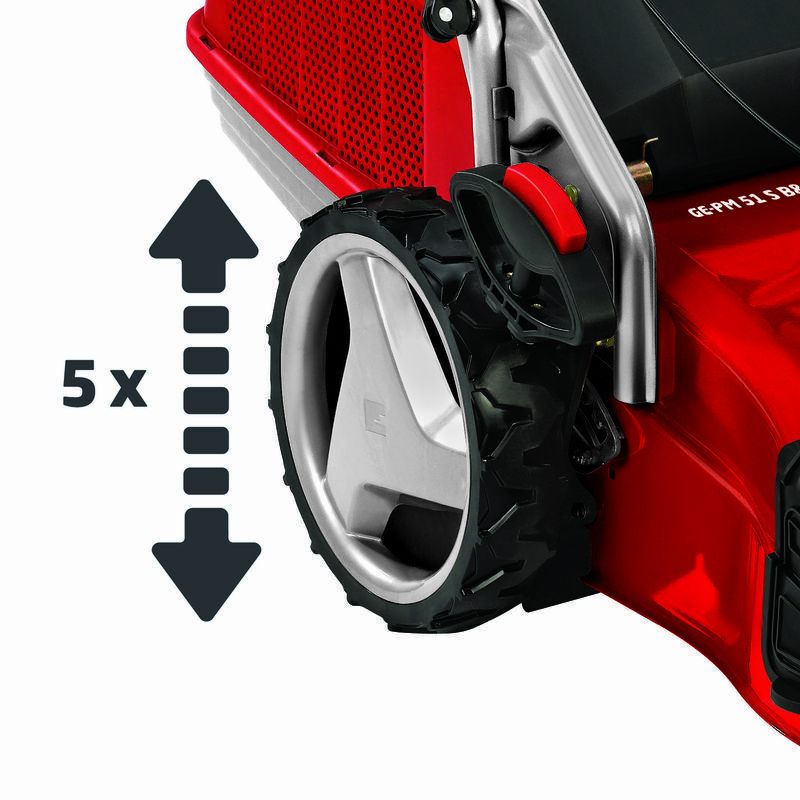 There is a central 6-level cutting height adjustment facility for adjusting to each mowing assignment. 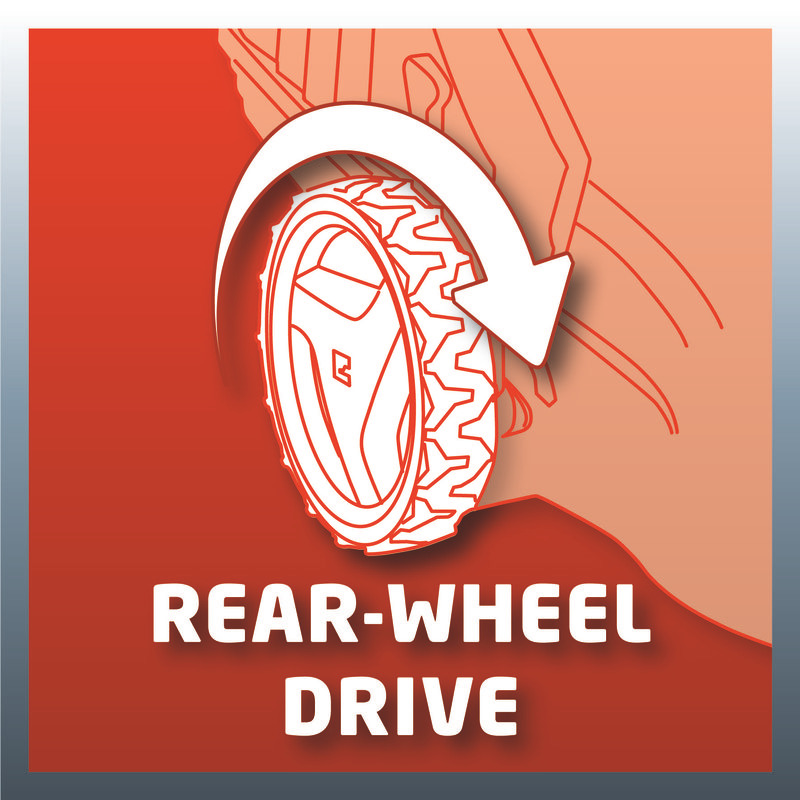 As a highwheeler, the GE-PM 51 S B&S features extra-high rear wheels for easier operation in difficult terrain. 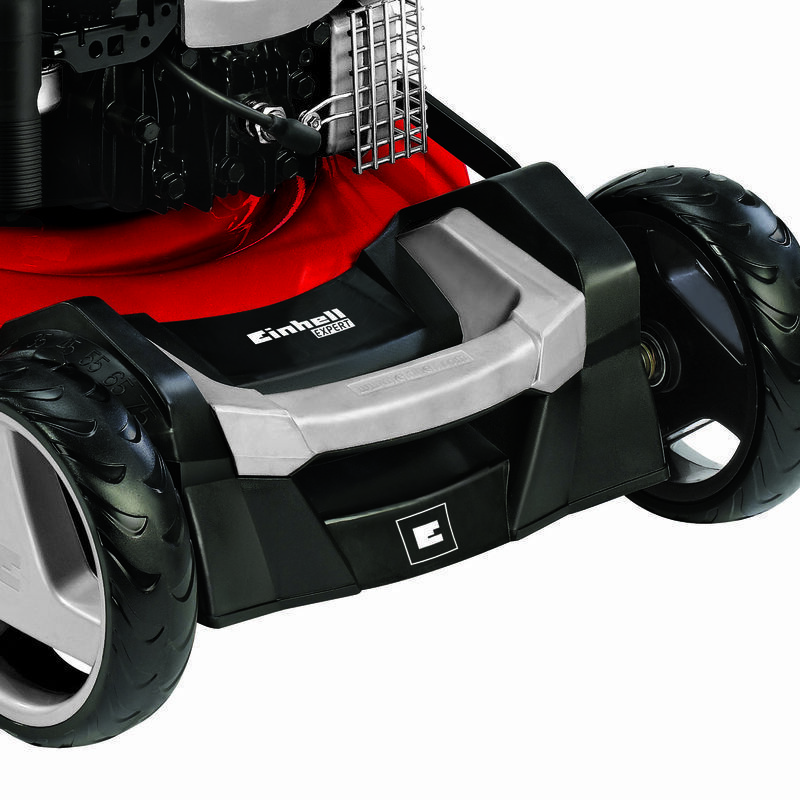 All the wheels have ball bearings and come with smooth surfaces for less stress on the lawn. 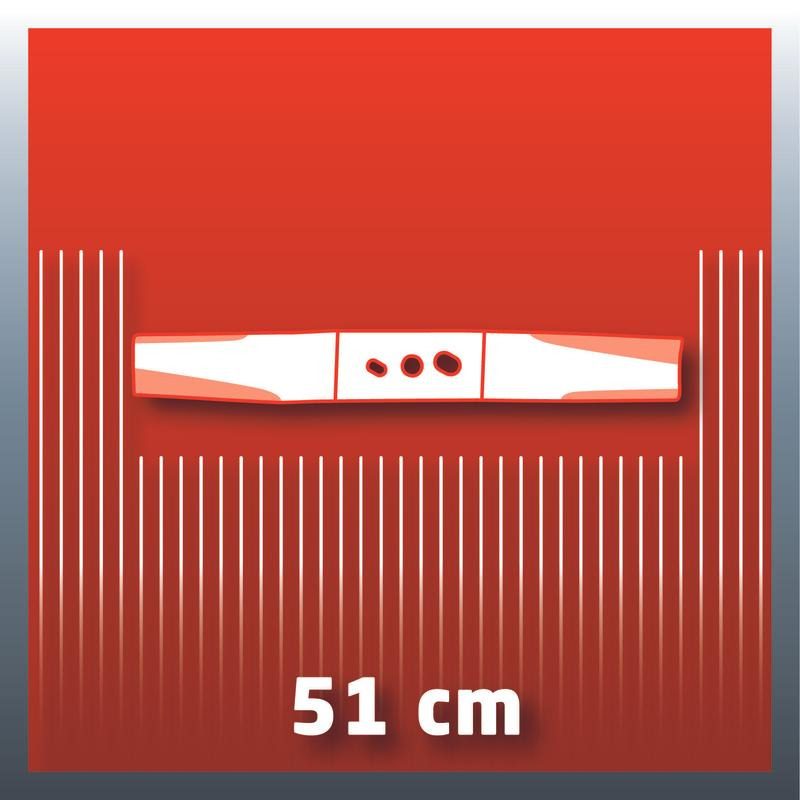 With a capacity of approx. 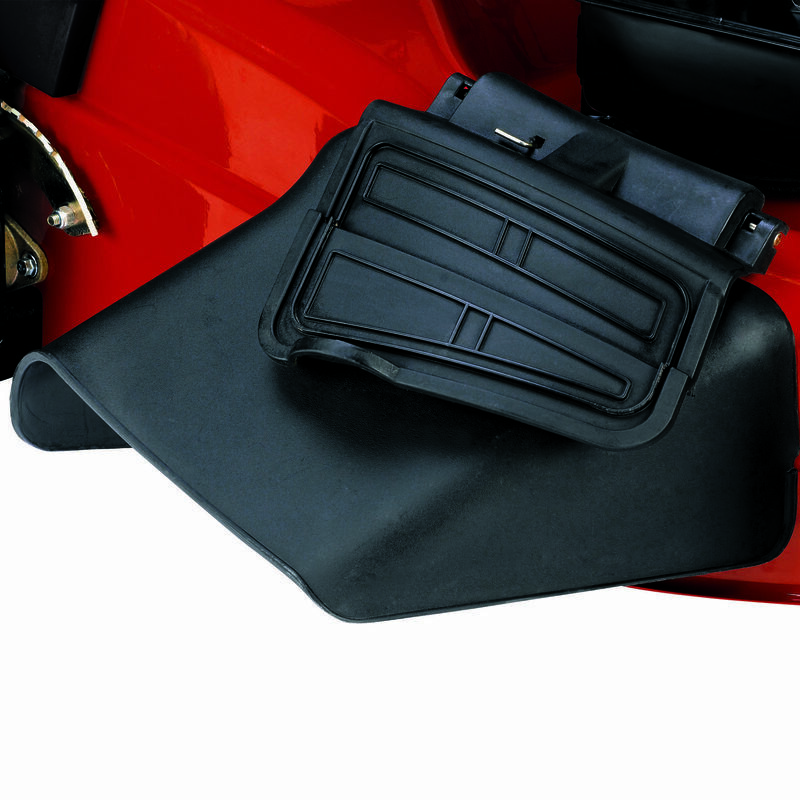 60 liters the hard-wearing grass bag has ample room for long work sessions. 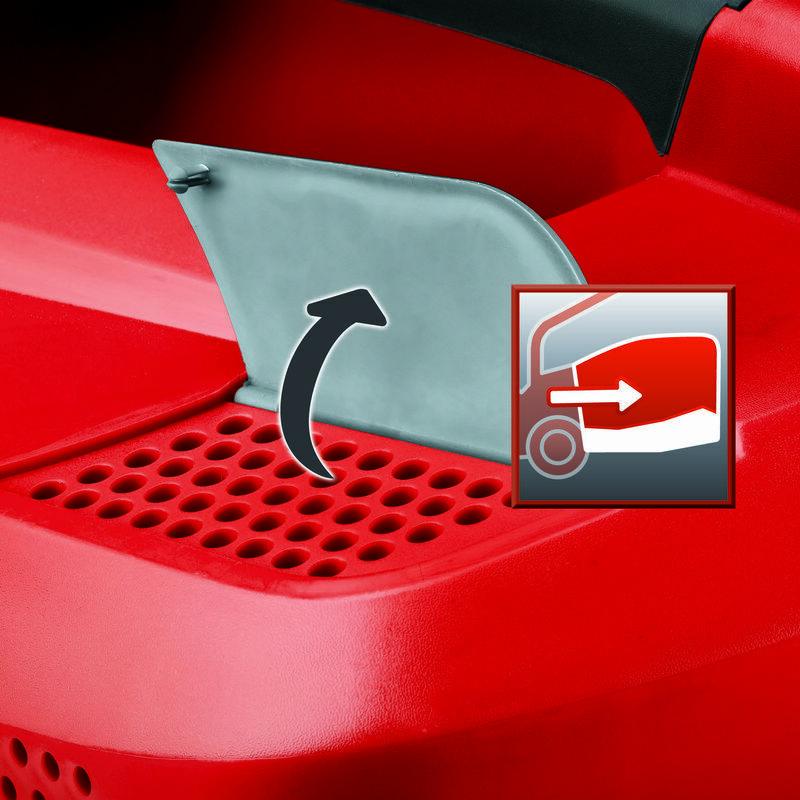 Thanks to the level indicator you can see at a glance when it is time to empty the box. 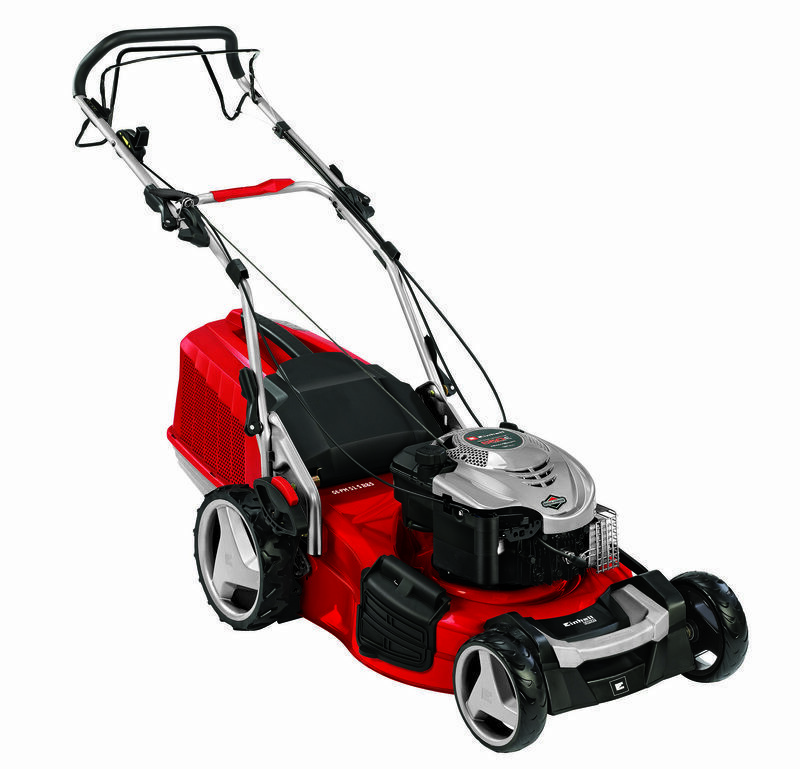 In addition the cuttings can be finely shredded by a mulching blade before they are evenly distributed over the lawn. 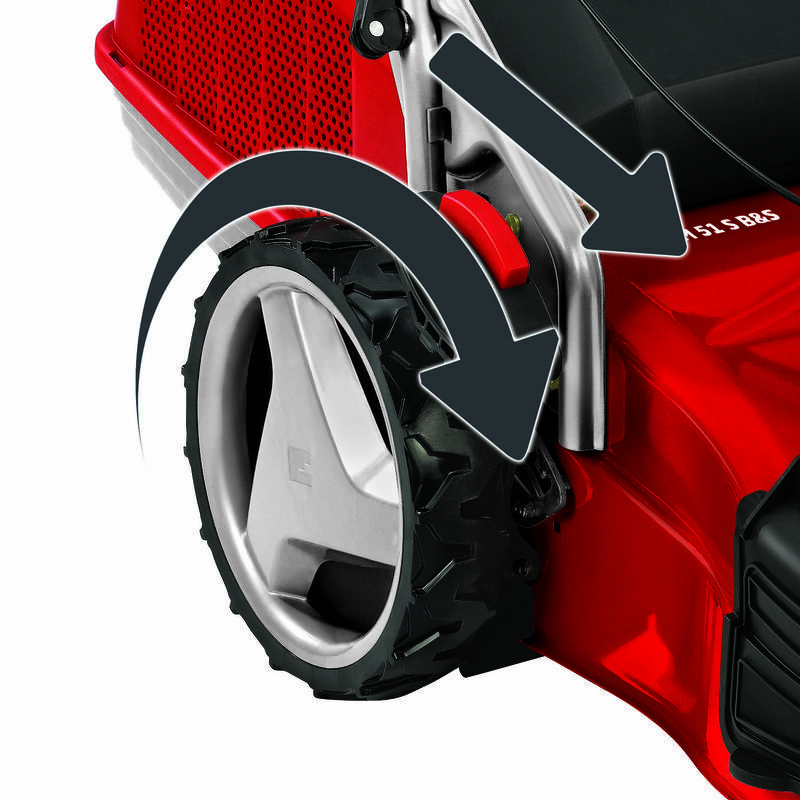 Alternatively, longer grass can also be mowed and ejected from the side. 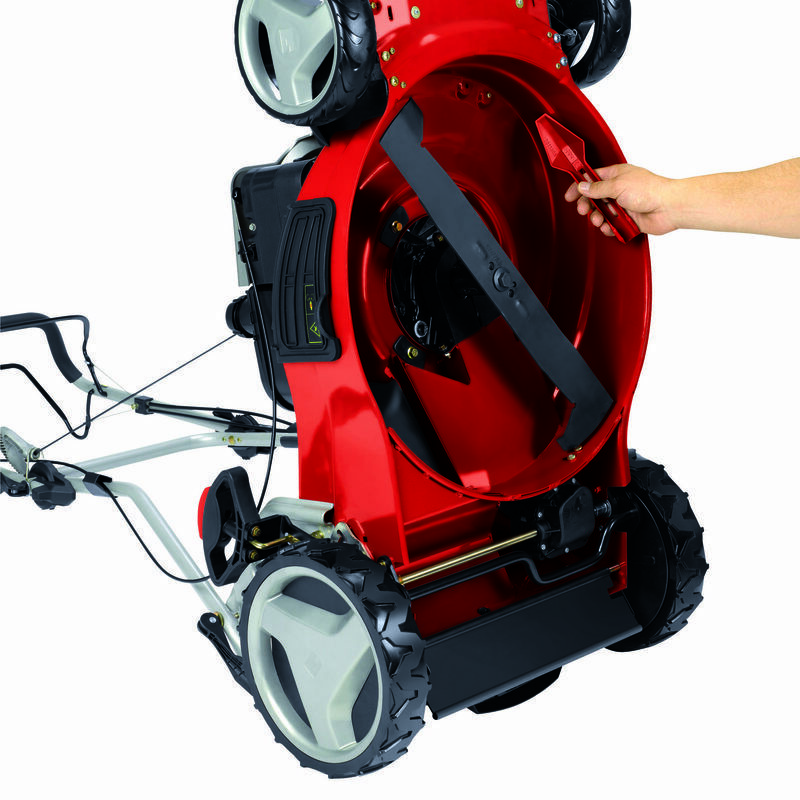 The GE-PM 51 S B&S is recommended for lawns of up to 1,800 m².